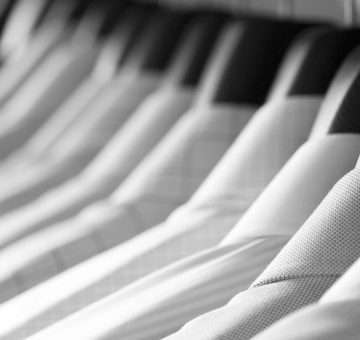 Why spend your weekend washing and ironing those tedious business shirts when at Ad Astra Dry Cleaning, our business shirt laundry service – which includes an impressive shirt cleaning service and shirt ironing service – guarantees a ready-to-wear shirt with clean, crisp collars and cuffs and a professional finish that will make you look and feel your very best – reclaim your lazy Sunday afternoons by leaving your business shirts in our capable hands. Because when it comes to shirts, we’ve got quite a few tricks up our sleeves… So whether you’re looking for a shirt washing and ironing service or a press only shirt service, we have a solution that best suits your needs. Let us iron out the details with our business shirt ironing service in Perth. This will give you more time on weekends to do what you love most; be it spending time with your family or friends, walking your dog or taking a siesta – free up more time instantly by sending your laundry to our efficient shirt laundry service. We guarantee that you’ll get your business shirts back fresh, clean and crisp so you can look and feel fantastic at your next big meeting – and make a great first impression.